People often think that developers don’t have enough time to do anything outside of work, let alone play games. Upon casual observation this may appear true, as developers frequently work very hard for long hours and don’t allow themselves a lot of free time. However, some of the best developers out there have a healthy work-life balance. They take breaks when they’re tired, they enjoy an existent social life, and yes, one of their favorite ways to relax and chill is to play games. However, playing games doesn’t just lead to relaxation, particularly when it comes to the explosively popular mobile game, Pokémon Go. One developer at Livecoding.tv, Noel Davies, is building Electron Pokémon Go Desktop App, which simulates PokéVision. Incredible, indeed! Developers love apps and tools. Without apps and tools, they might not want to play the game at all. 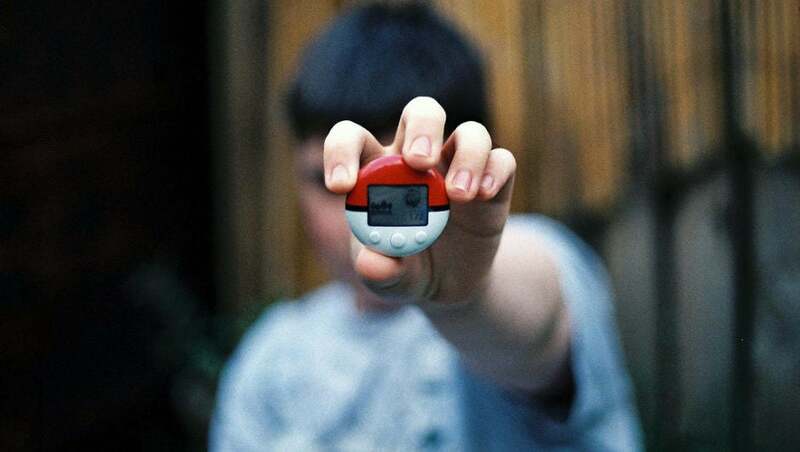 Millions of other users operate the ad-hoc apps available for Pokémon Go to make their journey better, crisper, and more filled with rare creatures to capture. Currently, many apps are available on the Internet. You can find a list here, or more by searching for “Pokémon Go Apps” in Google. The additions are endless and the amount of developers trying to cash in are even more plentiful. Using tools can call into question the skills of a developer, which often leads to developers creating their own tools, apps, APIs, etc. For example, one such developer, Livecoding’s Jpain, is currently developing an API for Pokémon Go. To illustrate the point, let’s look at the number of results for the simple keyword “Pokémon Go” on GitHub. There are 692, and counting, repositories available. This does not include the private repositories. Now imagine the number of developers working on those repositories. The key here is to remember that GitHub is a social platform for coding and collaboration. On another note, developers are always interested in developing applications for Pokémon. A simple keyword search for “Pokémon” shows 7218 repository results. That’s a lot! Developers can easily play the game with their friends and enjoy the most important aspect of the app: social interaction. With the app, they can also help balance their work and life responsibilities by roaming around with non-developers and keeping work-related chatter miles away. Are you stuck in a job that doesn’t give you enough freedom? Now is the time to change it for better! Coding their product and playing it during the development process is very common for game developers. Those who are intrigued by the game like to build it and play along. Pokémon Go is no exception. Many developers on Livecoding.tv build and develop their own game. On the technical side, playing the game multiple times for debugging purposes is also necessary for developers. Developers like to break the game they’re playing. Pokémon Go is no different. Developers, or more precisely hackers, love to break the game and reverse-engineer it to make it work on different types of devices. For example, circumventing the check for jailbreak devices and helps anyone with a jailbreak device to play the game without worrying. Other multiple cheats are already available for download. Another simple hack lets you explore without actually walking to the location. The hack, “PokémonGoAnywhere,” allows the player to just tap on the screen to walk to the place without doing anything further. Cheat sheets are a very common way of exploring games. For developers, they simply grab the cheat sheet to know about the different aspects of the game. Cheat sheets also help them to play smarter and save their time for other productive things. They also love to watch other players play Pokémon Go and learn from them in order to learn tricks and tips for future gameplay. Finding bugs within the app and contacting the developers of that game to get it fixed is common among game developers. The same is true for game developers who play Pokémon Go. They send detailed feedback and play experience, to help the game developers improve their app in the future. Developers are some of the smartest people on earth. This leads them to think of the different ways they can clone the device and copy some successful game mechanics into a new game. Cloning the game is a fun activity for many developers. They ask themselves; “Damn, why didn’t a smart guy like me like of this?” And to prove this, they just clone it and release it to the world. Game developers love mentoring others. If they see others struggling with the code, they are the first ones to jump in and help them solve the problem. The idea of code mentorship is already established in the industry. Having a code buddy also improves learning and problem solving capability of the team. And if that’s not what Pokémon Go is all about, then what are we even doing here? Damian Wolf is a recognized and published author and tech enthusiast on Tech Acute, Ideas Evolved and Life Hack. He comes from the land of kangaroos and when he's not writing, you can find him jogging. He loves trying out new things: apps, software, trends and will gladly share his views. He is all about feedback so feel free to leave yours below.